Gymnasts must maintain a certain mental toughness, strength and confidence as they practice and compete. When sophomore Lexi Neely was told to quit the sport she loved after acquiring two concussions, it was unclear what activity she could take part in that would give her a chance to demonstrate this skill set she had committed to her whole life. After her family discovered Three Kings Athletics located near their church, they went out on a limb and decided to try it together. 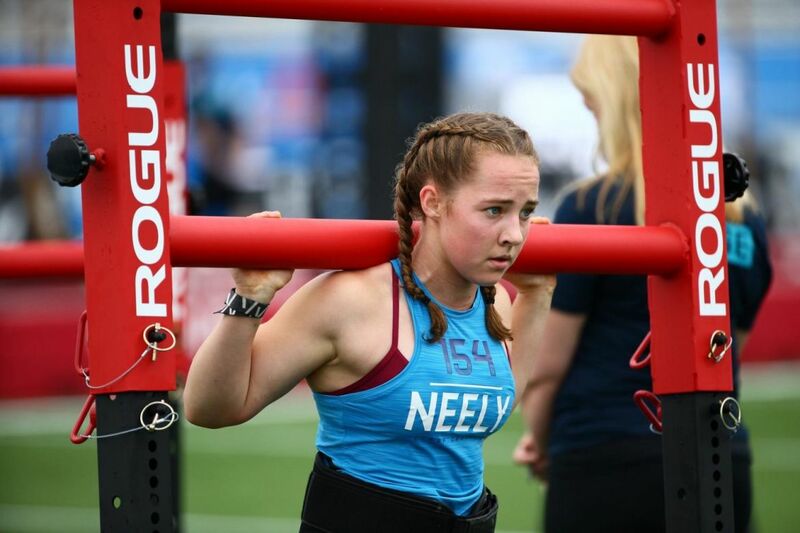 This was a turning point in Neely’s CrossFit career that would once again allow her to bring out her competitive spirit and fierce work ethic that she seeks in a sport. The fitness regimen, CrossFit, is defined as, “constantly varied functional movements performed at high intensity,” by its founder and CEO, Greg Glassman. These functional movements are the core movements of life that allow for the largest loads to be moved the largest distances, so it maximizes the amount of work done in the shortest time. “The more work you do in less time, or the higher the power output, the more intense the effort,” Glassman says. Within CrossFit there are different exercises, such as running, biking, gymnastics movements (including pull-ups, muscle-ups and handstand pushups), as well as Olympic lifting and power lifting. What is unique about this specific sport is its versatility. The movements can be adjusted based on the ability of each individual. “Basically, anyone can do it. We have people at our gym who are pretty old who can still do it and can scale everything,” she says. “It is just functional movements that help improve your life, so they are still benefitting from it as much as I am.” Neely loves how each day the workouts are different, so it never gets boring and repetitive. Neely’s gym routine impacts all aspects of her life. It is important for Neely to stretch on rest days to keep from getting tight, get eight hours of sleep a night, and eat clean meals without processed foods. This keeps her fueled, helps with performance, and aids with recovery. Her constant diligence, hard work and discipline in and out of the gym eventually earned her a spot in the CrossFit Games this past August. There, she competed alongside 19 other girls her age from around the world and created lasting friendships. Neely did not place as well as she had hoped, but she remains grateful for the experience and strives to return next year to redeem herself. For Neely, motivation is found in seeing the constant improvements made in training and competing, as well as though the friends that push her during her three to four hour workouts. Having to quit the sport you love is tough. But Lexi was able to find a new love in CrossFit, and it is a lifestyle that she can keep for the rest of her life.